Register now for the Membership, Foundation, & Public Image Seminar! Informative breakout sessions on Membership, Foundation, and Public Image, plus "Rotary 101" for newer members, and "being an engaged board member"
Club officers, board members, committee chairs, and all interested Rotarians are encouraged to attend! Survey for meeting time - give Pam the meeting time you prefer - breakfast - lunch - cocktail - Will be reviewing the tally with the board at next board meeting on August 2nd and reviewing the location options as well. District Governor began his visit at Memory Park with members of our club. 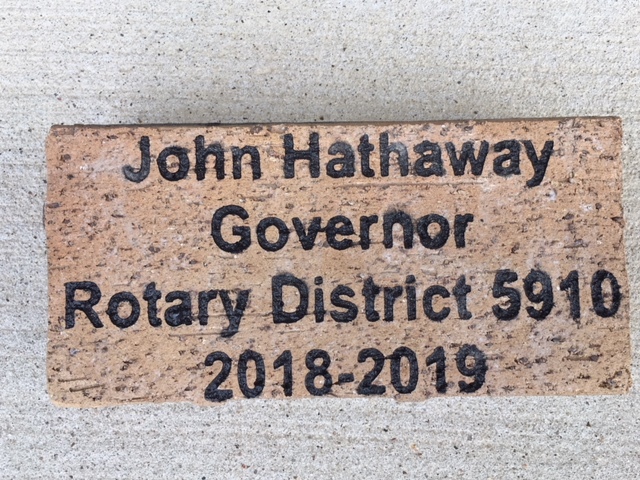 We presented a Paver in his name. Assistant Governor Gary Milleson introduced DG John Hathaway to the membership. He has been a Rotarian for over 22 years and has perfect attendance. John is a member of The Woodlands club. He has hosted several exchange students over the years. 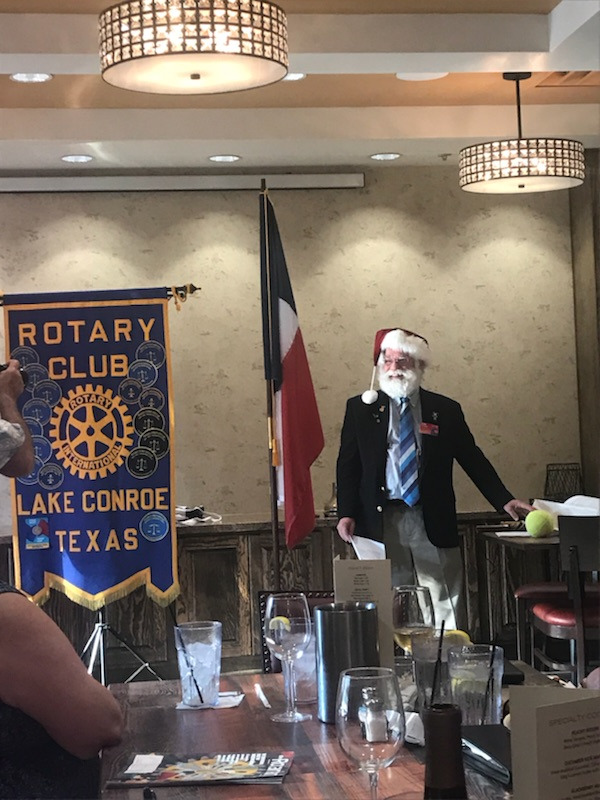 John told our club about the MyRotary website and how the site is very useful for information about Rotary and all what Rotary does around the world. First Pea: The first pea is "Participation". Get involved with your club in something that is one of your passions. Second Pea: The second pea is Peace. Rotary has been active with World Peace developing leaders around the world working with areas for clean water and sanitation, basic education, and to end Polio. 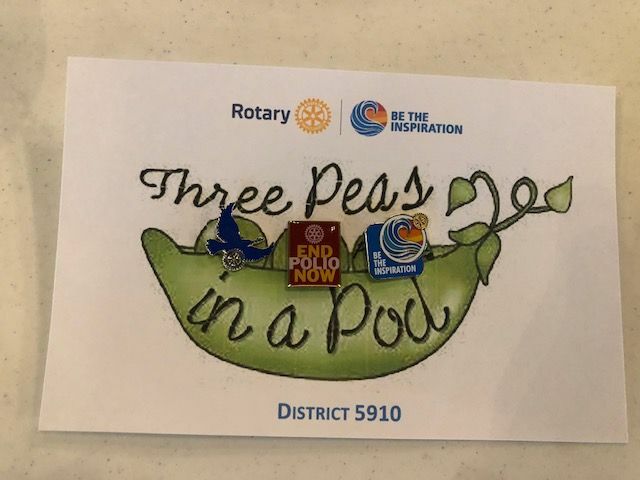 Third Pea: The third pea is the End Polio Now. John has challenged our District to make a contribution to Polio of $167,000.00 with a local match of up to $175,000.00 which in turn Bill Bates with double the match making the total contribution $1 million. IF the goal is reach John has agreed to have his beard shaved off at the 2019 District Conference next April. There will be a thermometer graph on the district website showing the progress of the goal raised over the next year.